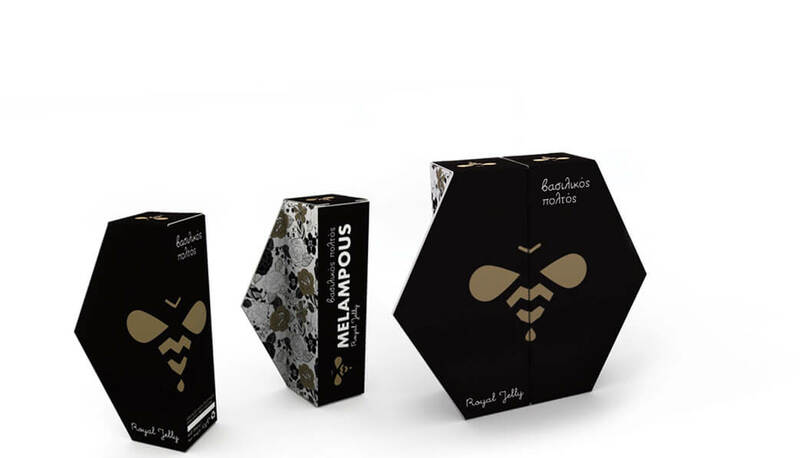 Royal Jelly is a creamy substance produced by bees as food for the future queen. It is secreted from special glands of the pharynx of the worker bees, and in this regard differs from the honey, as this is not secreted from the body of the bee. With royal jelly bees feed the larvae, which as perfect insects will become queens. These larvae initially do not differ from those who become workers, but under the influence of royal jelly they grow in Queens. Royal Jelly is a rich source of protein, amino acids, lipids, vitamins and minerals. It is widespread known that it has a beneficial effect on humans. Royal jelly is white / gray to yellow / brown. It has a sour taste, due to the very low PH (2, 5-4), slightly bitter and peculiar smell. The texture is gelatinous and viscous but over time it becomes compact. The color and taste of royal jelly is an indicator of freshness and its suitability. If it is exposed to light or air can be light yellow or dark gray. This change is due to enzymes that oxidize some substances of royal jelly destroying valuable ingredients. So it must be kept in a dark glass bottle. Royal jelly contains vitamins B1, B2, B3, B4, B5, B6, B7, B8, B9, B12 and C. Pantothenic acid (B5) plays a major role in the metabolism of larvae found in development. The following minerals have been detected in royal jelly: sodium, potassium, iron, calcium, zinc, chromium, manganese and nickel. 29 amino acids have been identified the most important is the aspartic and glutamic acid. Royal jelly contains all the essential amino acids for humans in adequate proportions. The most important is the 10-hydroxy-decenoic acid, which has antibacterial and fungicidal features it. Also contains hydroxy fatty acids and dicarboxylic acids. The sugars royal jelly has mainly consisted of fructose and glucose at 90%, a ratio similar to the honey. There is a wide range of analytical rates values ​​of the individual components and this is due to several factors including: the type-tribe of bees, the collection area and the different flora encountered, the age of the larvae from which is collected, the conservation conditions, and the method used to identify the components. However, these differences are not large, so its composition can be considered relatively stable. It is accepted that the royal jelly may cause allergies in humans, with symptoms ranging from urticaria and asthma to fatal anaphylactic shock. The event frequency of allergic reactions in people who consume royal jelly is unknown. However it has been suggested that the risk of allergic reaction to royal jelly is higher in people who have already expressed some kind of allergic reaction before. The dosage recommended is: one teaspoon in the morning being fasting under the tongue until dissolved, children half teaspoon and athletes and patients to two. Time needed is defined to 3 months per year. In special cases you may want to consult your doctor.